Live a $1,122,000 Gold Coast high life with Surf Life Saving Lotteries! How would you feel looking out across the Surfers Paradise city skyline, from your very own luxury high-rise apartment? First prize for Surf Life Saving Lotteries draw 187 is a $1,122,000 prize home package offering the ultimate Gold Coast lifestyle! The package includes a spectacular luxury $755,000 apartment in Southport, $200,000 gold bullion, $136,000 design and furniture package, $10,000 shopping spree, $20,000 travel voucher and a $1,000 adventure experience voucher to live the high life in your brand new high-rise apartment. The prize home features an elevated design, with 2 bedrooms showcasing breathtaking views to wake up to every morning, 2 bathrooms, a personal study, and a private enclosed balcony, adjoining the lounge and master suite. Enjoy a coffee with a view before heading off via the convenient tram connections at your doorstep, to experience the best shopping, restaurants, and adventure the Gold Coast has to offer. Then head home for a dip in the resort style pool, or take in the Surfer’s Paradise nightlife! 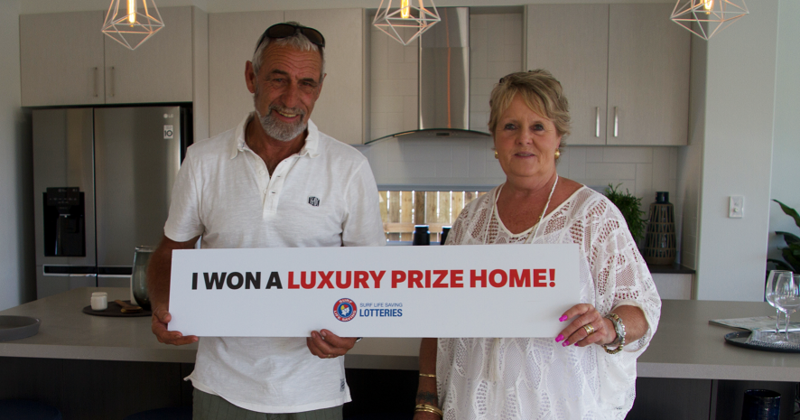 John and Terri from Manly in Brisbane were on a 6 month vacation in remote Western Queensland when they found out they were the lucky winners of the prize home in draw 182. They won a stunning waterfront home in Mountain Creek on the Sunshine Coast, plus $30,000 gold bullion. Upon hearing the news, the couple had chills down their spine. “We’ve never experienced anything like this. When we were handed the keys at the home, I almost broke down crying,” said Terri. 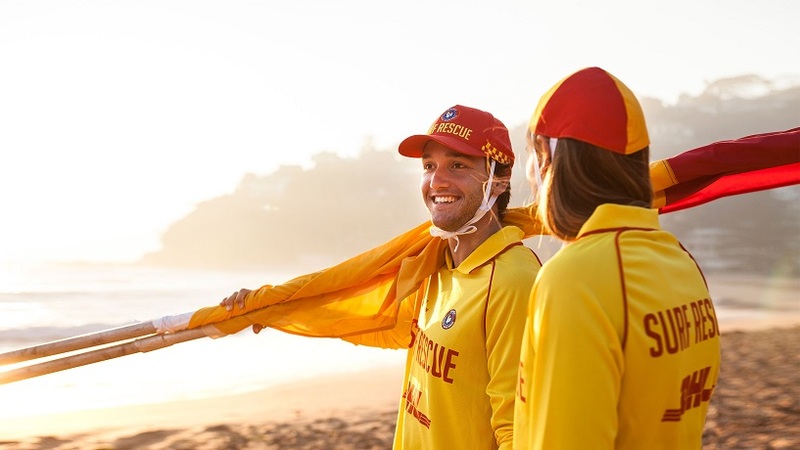 Working to ensure the safety of beach-goers and protecting our great Australian beach lifestyle, Surf Life Saving is one of Australia’s favourite charities. The amazing Surf Life Saving volunteers and clubs receive limited funding from government. They rely largely on community donations and support to keep our beaches safe and all visitors looked after. Surf Life Saving offer their Prize Home Lottery as a way for you to support their service. Contribute to the foundation, all while getting the chance to win life-changing prizes!